Pyer Moss’ Kerby Jean-Raymond lost supporters, buyers, and his venue. But the story he had to tell was too important to let go. 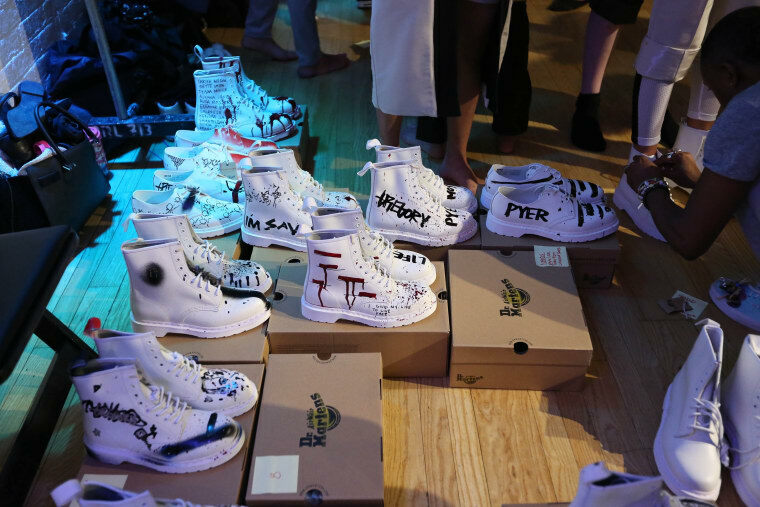 On Friday, September 11th, the second day of New York Fashion Week, dozens of excited fans flocked to Pyer Moss’ 2016 Spring/Summer runway show. Anticipation was justifiably high: a few weeks prior, Kerby Jean-Raymond, Pyer Moss’ 28-year-old designer, had received an in-depth look by The Washington Post. In the interview, he detailed his intentions to put on a fashion show that would take a searing look at society. The Washington Post wrote, “He is producing a video, to be played during his runway show, in which he is asking people to discuss race, racism and racial injustice in policing.” It was a prestigious look for the designer, for the brand, and for the fashion world as a whole, a scene so often derided as shallow and myopic. It also nearly shut Jean-Raymond down before he’d even gotten started. Meeting with the designer the day before the show, Fashionista describes a high-level of agitation and anxiety. The venue where he’d originally planned to hold his presentation backed out, saying “they didn’t think he could keep the attendance under capacity.” Jean-Raymond says he lost a retail account in Europe, and worried that his stance had put his employee’s livelihoods in jeopardy. It was a bleak look for a brand that just passed its second anniversary. But Jean-Raymond remained adamant. The next day, at The Altman Building in Chelsea, a 12-minute compilation of footage from the documented police killings of Eric Garner, Walter Scott, as well as interviews with the families of Oscar Grant and Sean Bell was screened to a captive audience. The crowd reacted: gasps and murmurs of “oh my god” can be heard in the background of clips of the film that have since been uploaded to the internet. Jean-Raymond went on to say that he intended on not showing the clothes at all, telling the Washington Post, "I wasn't even going to show the collection...I wanted to just show the video, open the doors and let everyone out." Anchored in sportswear, the new Pyer Moss collection is clean, crisp, and one of the the young brand’s strongest collections to date. The models marched out to the beat of KRS-One’s “Sound Of Da Police,” with gunshot sound effects ringing off as their boots stomped down the runway. Artist Gregory Siff was a key part of the collection, marking each garment with custom artwork reinforcing the message of the show. Blood splattered the back of jackets, and the entirety of the models’ shoes. Eric Garner’s last words, “I Can’t Breathe,” showed up atop white boots, as did the names of other victims of police brutality. The fashion industry historically has been one that has abstained from talks of racism and injustice, and within itself is plagued by inequality. 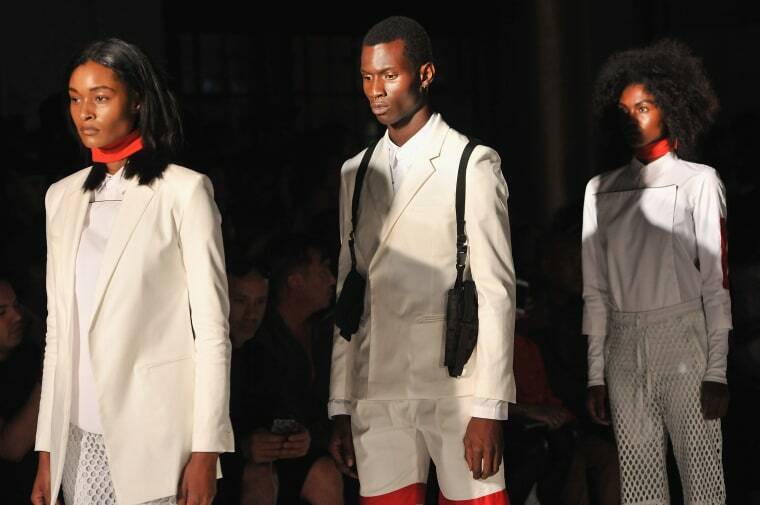 Less than 4% of fashion designers are African American, and white models make up over 80% of the people walking the runways during fashion week. But Pyer Moss' Spring/Summer 16 show was widely deemed a success. 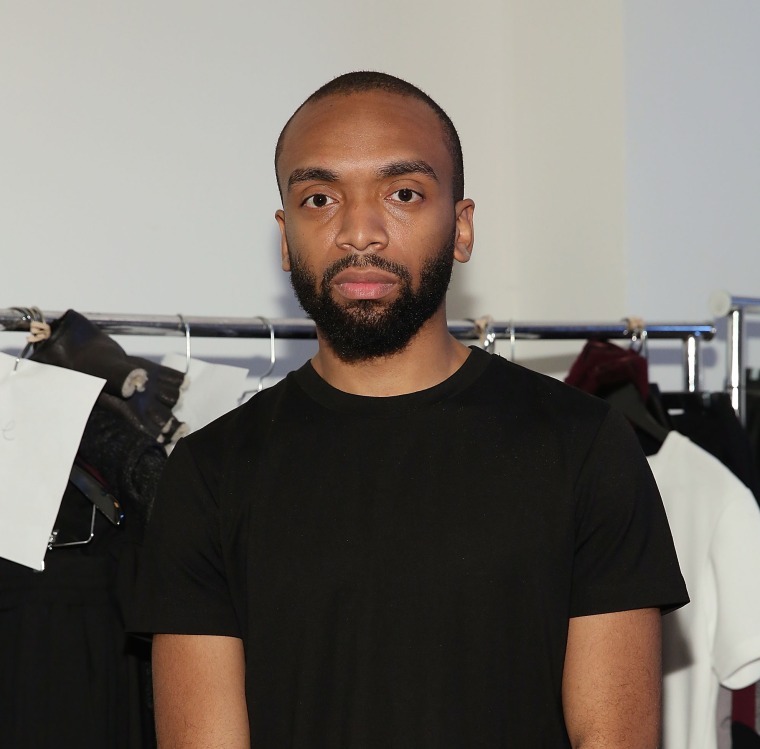 Kerby Jean-Raymond is not the first designer to take a stand, but the risks he took to give a platform to the black American narrative make him one of fashion's most promising pioneers.